Imagine! Unlimited Years of Oil & Gas Production without Drilling One New Well! | Ascension Technologies, Inc. Imagine for a moment, virtually an unlimited supply of additional oil production with no new will drilling or development. According to U.S. Department of energy studies, more than 200 billion barrels of oil in-place could be technically recoverable with enhanced oil recovery (EOR), not including the additional potential for EOR in oil shales, tar sands, and residual oil zones. Almost 500,000 wells today are categorized as marginal by the DOE. These wells produce less than 80 barrels a month and represent an immediate target for enhanced recovery. What if every well in the United States could be economically treated for Enhanced Oil Recovery (“EOR”). Primary and secondary recovery typically net only about 20 percent of the oil in the reservoir, leaving a great deal “stranded” in the rock. Tapping these resources could dramatically improve the country’s energy independence. But in order to achieve this ideal, the economics must make sense. Historically, the costs of EOR have limited its usefulness. These costs include transportation, labor, materials and cleanup, and often have exceeded the value of the incremental hydrocarbons it could free up. When the price of oil is low, there is little tolerance for EOR costs. A solution which has emerged as a twenty-year overnight success that addresses enhanced-recovery economics by efficiently freeing hydrocarbons for recovery exists. While most technologies discuss their nano size products, this technology is many times smaller in scale and is referred to as a femto scale technology, biodegradable solution , thereby eliminating specialty transportation and preparation costs. It uses basic chemical and physical properties to separate hydrocarbons from the formation and leaves no toxic fingerprint that must be cleaned up. In fact, the very mechanism used to recover hydrocarbons down hole enables it to separate hydrocarbons and other contaminants at the surface for uses as a remediation product. This exciting combination of recovery and remediation in one solution simplifies processes at the site and further reduces cost. This technology began development at the end of the 20th century and has close to twenty years of testing and use behind it. The technology was trademarked and named, PetroLuxus™ and is spawning an entirely new platform of environmentally safe products with uses for not only the oil and gas industry but also for the ground and water well rehabilitation industry and the corrosion industry. 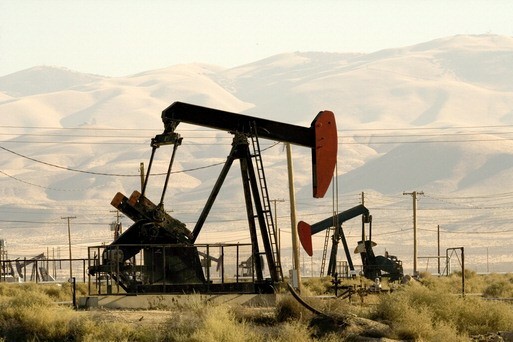 Corrosion can be a killer in the oil fields. Oil and gas experts have identified Microbiologically Influenced Corrosion (MIC) as a main threat to their equipment. MIC is responsible for up to 50 percent of all corrosion damage, with an estimated price tag of $1.5 trillion a year globally. The PetroLuxus™ technology is a proprietary trade secret no different than the Coca Cola company protects it soda formula. The Technology is a silica-based aqueous femto scale monomer solution that specifically targets hydrogen, oxygen and carbon elements in relationship to hydrocarbon-bearing materials. In some ways this technology acts much like an Alkaline/Surfactant/Polymer (ASP) solution, but with no harsh alkaline or surfactant chemicals which sometimes causing flow clogging by the use of polymer products. PetroLuxus™ products are highly concentrated and saturated with excess OH groups. In the oil-bearing formations, the PetroLuxus™ technology formulation readily seeks to disrupt hydrogen bonds that are associated with crude trapped in the formation pours. The natural tendency is for the PetroLuxus™ technology, due to its small size, is to penetrate the formation pour space, break the hydrogen bonds and surface tension that traps the oil and then physically displace the oil from the space. Once the mineral surfaces are exposed to the PetroLuxus™ technology, the surface becomes much less attractive to oil which then allows the oil to move. The PetroLuxus™ technology is water soluble which causes rapid dispersion as it readily moves through the near well bore area and formation. and due to its small size, the PetroLuxus™ technology penetrates the formation pour space and displaces the oil, thus, promoting efficient separation thereby releasing oil deeper and further into the fracture network, enhancing flow characteristics including disbursing paraffin an asphaltenes and providing protection to the formation for increased production. This increases oil recovery and in turn increases return on investment. 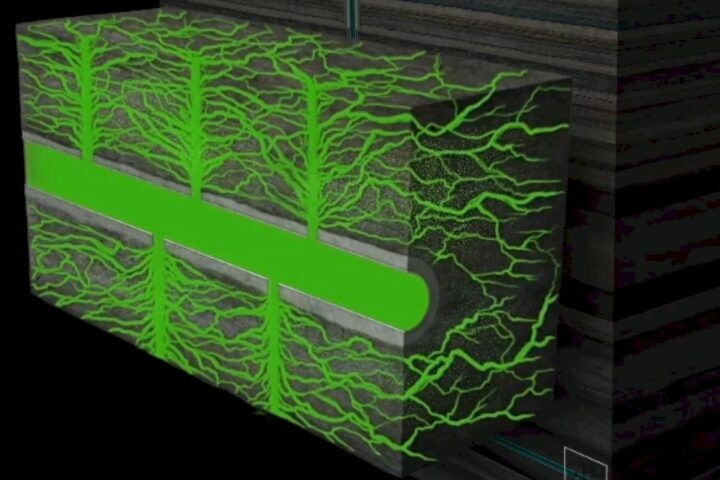 When introduced into the formation, the compound initiates an ionic exchange mechanism that makes hydrocarbons more hydrophobic and colloidal thus interrupting weak hydrogen bonds and reduce surface tension while also reducing corrosion to protect metal surfaces. The oil is repulsed from the water and a water-wetting effect allows oil to flow. The separated oil retains its original characteristics and is not adversely affected by treatment, water is significantly cleaner, and solids are separated for easy collection and disposal. The solution can be used in a single well or in a multi well injection configuration. The PetroLuxus™ technology continues to penetrate deeper and further into the formation until its electronic exchange is exhausted. This creates added value since no additional pressure is required for it to migrate deeper into the fracture network where no other stimulant chemicals go. As stated earlier, PetroLuxus™ chemistry is beyond nano scale and uses femto scale technology where one femtometer equals one quadrillionth of a meter, many times smaller than nano scale technology. In laboratory tests, 96 percent of oil absorbed in sand, shale, chalk and other foreign deposits were recovered. Reports from the Texas Railroad Commission confirmed observations that the solution effectively treated several wells in West Texas, where multiple wells were treated with the silica solution. Treatments increased average monthly production by almost 400 percent. Production in the 24 months prior to treatment averaged 79 barrels a month. In the seven months following treatment, production rose to an average of 296 barrels. Costs related to the silica-based PetroLuxus™ aqueous solution are substantially lower than other EOR techniques. The solution uses a natural, biodegradable technology with a high water ratio. The water stays clean in the process and can be returned to its source fully potable. Nothing toxic is left down hole or on the surface from this solution. No special equipment is required, no expensive transport is needed, and no other wells must be drilled or used for injection. Other unintended positive effects discovered through the technology solutions use proved that brine water when treated caused the metals and chlorides to drop out by precipitation of the water. Another interesting added benefit of the PetroLuxus™ silica-based solution is its positive effect on industry equipment. Because the solution is oxygen scrubbing, it fights corrosion. 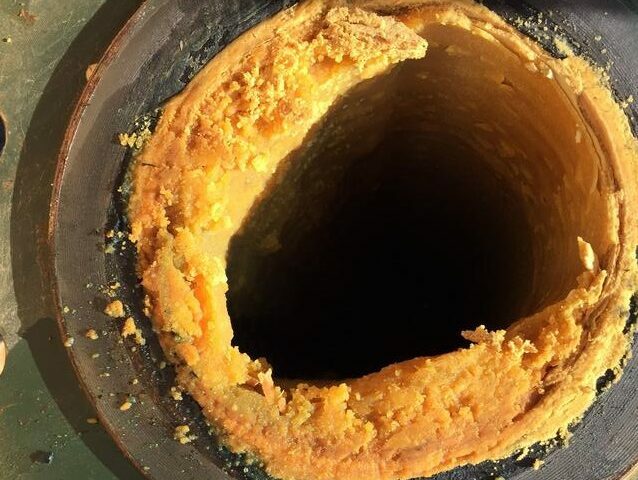 The corrosion of pipes, pumps and motors is most often caused by repeated exposure to hydrogen sulfide released during production. When PetroLuxus™ is present in the reservoir, the hydrogen sulfide present within the crude oil is reacted to a non-corrosive compound in-situ and can no longer outgas during pumping. This reduces or even eliminates the release of hydrogen sulfide at the well head and thus reduces or prevents the corrosion due to hydrogen sulfide exposure. But the technology has also proven itself to mitigate hydrogen sulfide (H2S) wherever it is problem at well sites. Besides H2S being corrosive, it can be lethal. To ensure safety of workers additional equipment and procedures must be placed into effect. This requirement equates to additional costs while not guaranteeing total effectiveness. As was already mentioned, PetroLuxus™ acts as a hydrogen sulfide scavenger by converting the hydrogen sulfide dispersed within the crude oil into another compound that is less troublesome and also less dangerous. Armed with this affordable green solution for both recovery and remediation, operators should be better positioned when interacting with regulators and local authorities. Disturbances to the natural habitat also should be minimized. Ultimately, adopting a low-cost solution for enhanced recovery should enable both field growth and increased production, to the benefit of all. Offerings such as Ascension Technologies’ PetroLuxus™ technology shepherds in a paradigm shift in the way the oil industry can safely produce additional oil in place with environmentally friendly cost effect products to be more in tune with the world’s demand for a cleaner approach to this industry. PetroLuxus™ products are safe, sustainable, and drive tremendous value for oil and gas industry operations. Ascension Technologies leadership is forging a path forward with its environmentally safe products and continues to prepare itself for the next 20 years of continued innovation and service. Ascension Technologies’ dedication to research and new technologies will continue to research and innovate products to deal with and battle corrosion, maximize oil production, and optimize water use. Ascension will tirelessly confront the challenges inherent to the world’s toughest energy problems with innovative environmentally safe solutions.